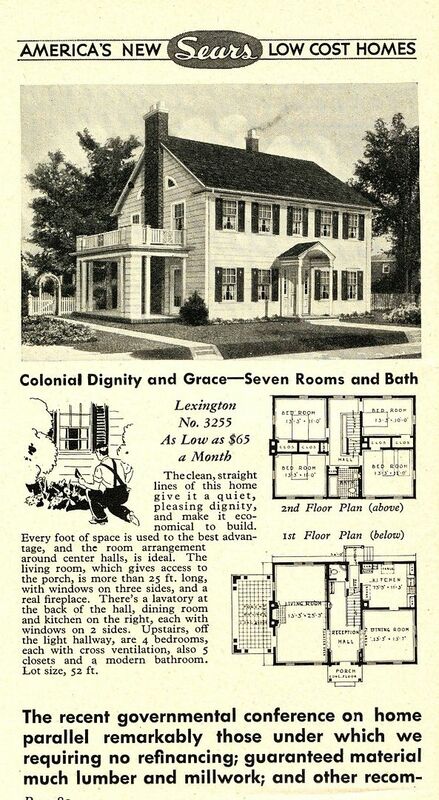 I’m a real sucker for a good-looking Colonial Revival, and the Sears Lexington is a perfect example. It’s both good looking, and it’s one of my favorite Sears Homes. For reasons I can’t begin to understand, they had two Lexington models, both of which were offered in the late 1920s and throughout the 1930s. Occasionally the names of Sears homes did get recycled and reused, but typically the houses were quite different. For instance, there’s a Sears Hawthorne that’s a 1910s one-story prairie style house with a low-slung hip roof. 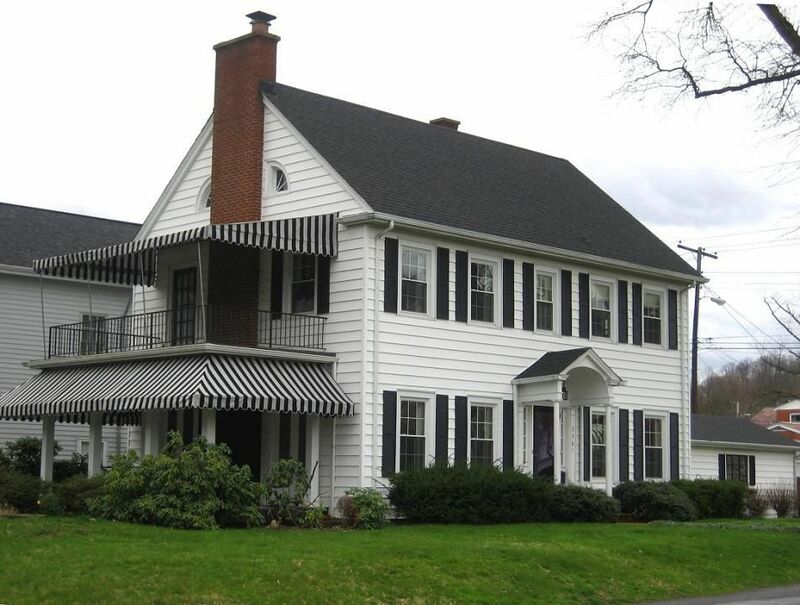 There’s a Sears Hawthorne (1930s) that’s a two-story Dutch Colonial. Pictured below are the two variants of the Sears Lexington. As you’ll see, they are radically different and the floor plans are worlds apart. Looking for Rose’s books? Click here. Sears Lexington from a late 1920s Sears catalog. 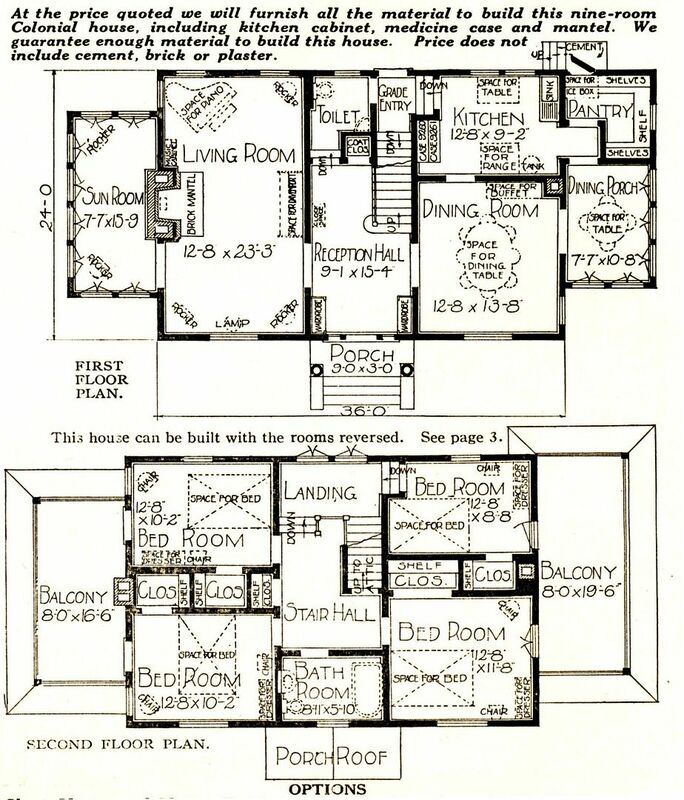 Floor plan from the Lexington. Fancy house! Sears Lexington in Glen Ellyn, IL. Notice the oversized cornice returns, and also that goofy placement of the window/door on the second floor balcony. Very unusual feature. The OTHER Sears Lexington. This was has dignity and grace! 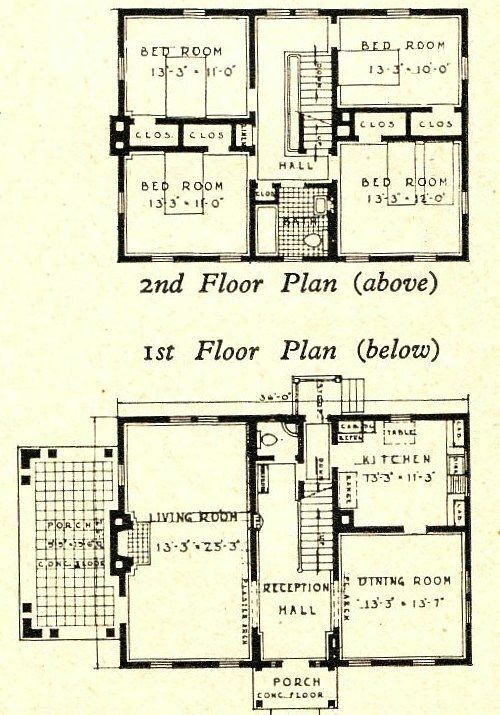 Note how wildly different this floor plan is (from the Lex above). Doesn't look much like the house above, does it? 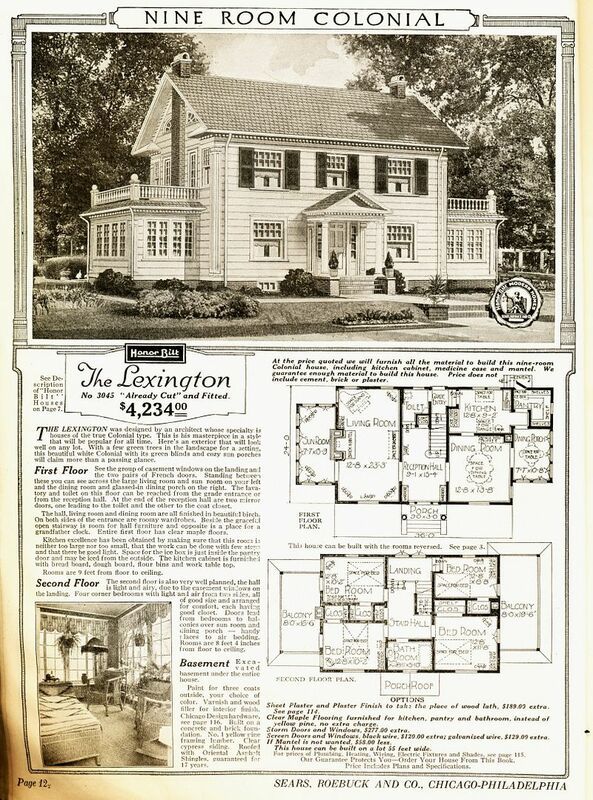 Hi Rose, my husband and I just bought a Lexington house (9 room). I’d love to learn more about this model - how many exist, what original details were, and what changes owners have made, including finishing the attic. I have a Lexington in New Bern, NC. The stair configuration is very different. The “Amityville windows” are the same. The living room on the left is divided in half by double doors that lead to the dining room in the back. The front of the house looks the same except we have double windows on each side of the door and double windows upstairs. There is a full single window above the front door vs. the mini window shown in the plan. There are three corner fireplaces, one in the living room, one in the dining room (which we use as a family room) and one in the master bedroom upstairs (if you are facing the house its on the left). Would love to know if there are modified plans of this model out there. Our house was built in 1921. 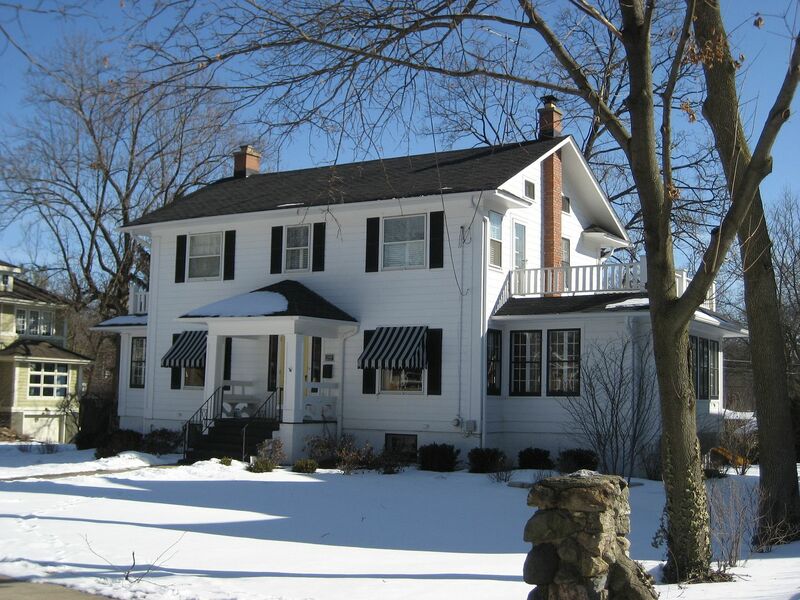 I grew up in this home on stadium drive in Kalamazoo Michigan! There were a couple of tiny differences the stairway was just opposite. Our balcony was round in the front center over the front porch with pillars. No balcony over either side of the house. The room on the right was our Sun room. All one room. Also access to the attic was through the second floor bathroom. We turned ours into a giant bedroom for my four brothers. It is now owned by a construction company that builds homes. I find that ironic.